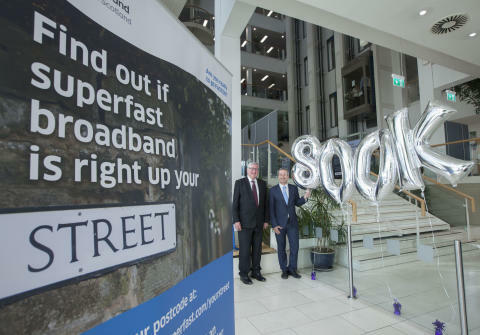 More than 800,000 premises across Scotland are now able to connect to fibre broadband thanks to the £428M Digital Scotland Superfast Broadband roll-out. The programme reached the milestone today meaning that across Scotland more premises than ever before now have fibre broadband available to them. Places like Appin in Argyll and Bute; Melvich in Caithness; Bargrennan in Dumfries and Galloway; and the rural village of Tillyfourie, Aberdeenshire, are now able to receive fibre broadband for the first time. Each week, the programme, one of the largest broadband infrastructure projects in Europe reaches more remote and rural areas, passing another 34,000 premises in the last six months. UK Minister for Digital Matt Hancock said: "I'm delighted that more than 800,000 Scottish homes and businesses have now had their internet speeds boosted as part of our UK wide rollout of superfast broadband. By the end of this year 95 per cent of UK properties will have access to superfast speeds, but more needs to be done to make sure no-one is left behind. Robert Thorburn, Openreach digital partnership director for Scotland, concluded: “We’re working flat out to bring high-speed fibre broadband to as many Scottish communities and households as possible and we’re continuing to make good progress. 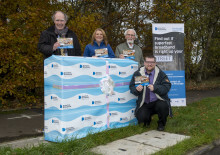 “It’s fantastic to be reaching smaller communities such as Gairloch, Drummore and Ballantrae and it means more people across the country can now order their fastest-ever broadband speeds from a wide range of providers. The Digital Scotland Superfast Broadband programme underpins the Scottish Government’s aim for Scotland to become a world class digital nation by 2020. Local people can check the Digital Scotland website to find out if they can get a fibre-based service. 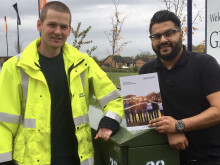 Due to the current network topography and the economics of deployment, it is likely that not all premises within specific areas will be able to access fibre-based broadband at the same point in the roll-out.